Carded travel players are not allowed. All teams guaranteed a minimum of 3 games. All games include 5 minute half time. 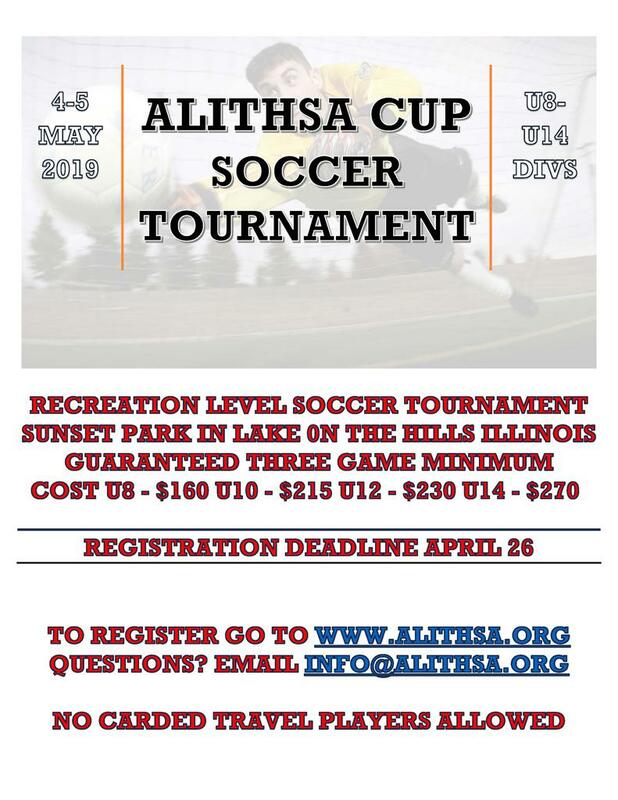 Participants include: ALITHSA, Pingree Grove, Crystal Lake Soccer Federation, Marengo Park District, Woodstock United Soccer Association, Huntley Park District, Quantum Fusion FC, Fox River Grove RCS, Cary Soccer Association, WAYSC, Dundee Township Park District, SAA, NUFC, Huntley Park District, Hampshire, Harvard Jr Hornets Soccer, AYSO and Genoa.